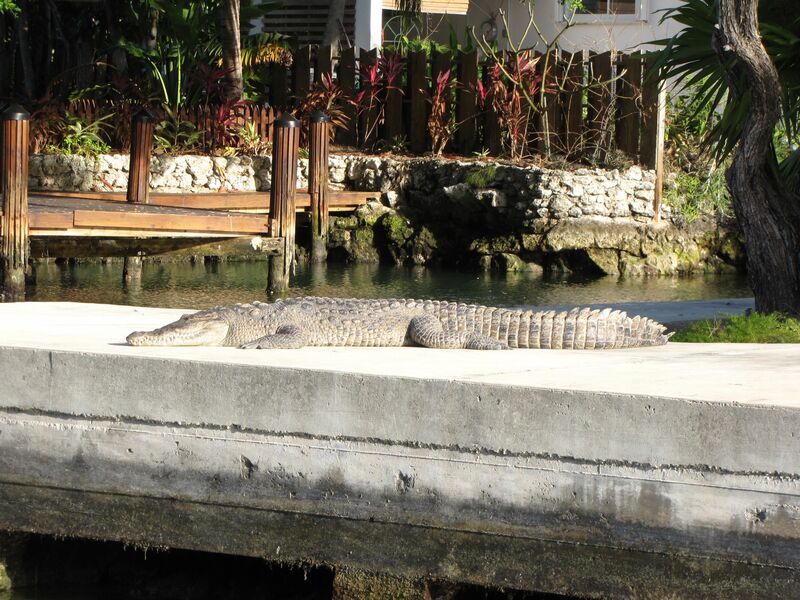 American crocodile in someone’s backyard in Islamorada (Tollgate Shores, Lower Matecumbe Key), January, 2013. I’m told it’s named “Number 9” (any relation to Beatles song?) and it likes that spot–came right back after Fish and Wildlife hauled it out of there. UPDATE (5/24/13): just learned someone killed this croc (gunshots to the head) on May 9, on Lower Matecumbe Key. The FWC is offering a $6,000 reward for information leading to the perpetrator, who could get up to 5 years in prison per the Endangered Species Act.